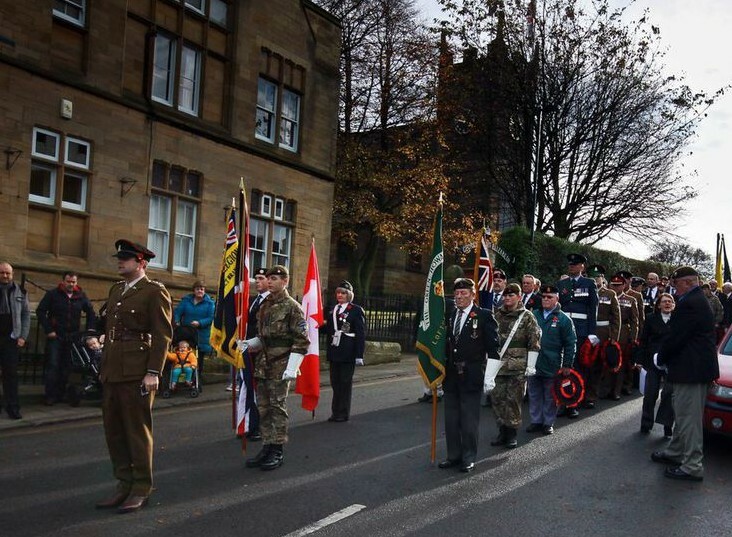 The Loftus Remembrance Sunday Parade, which was held on Sunday 9th November 2014, was once again a suitably fitting occasion as our town paused to remember and to pray for those who gave their lives for our nation in world wars and conflicts past and present. 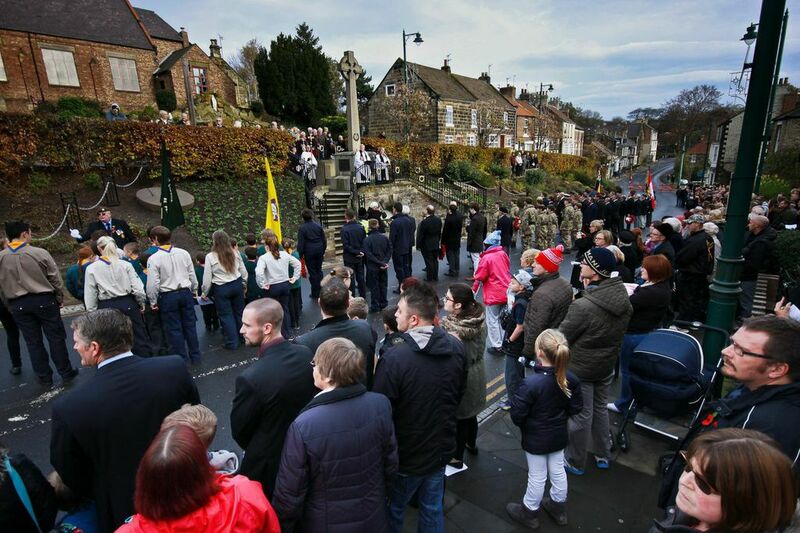 At 10:45 am the Parade assembled outside Lotus Town Hall and St Leonard’s Church before parading down to the newly restored Loftus War Memorial. 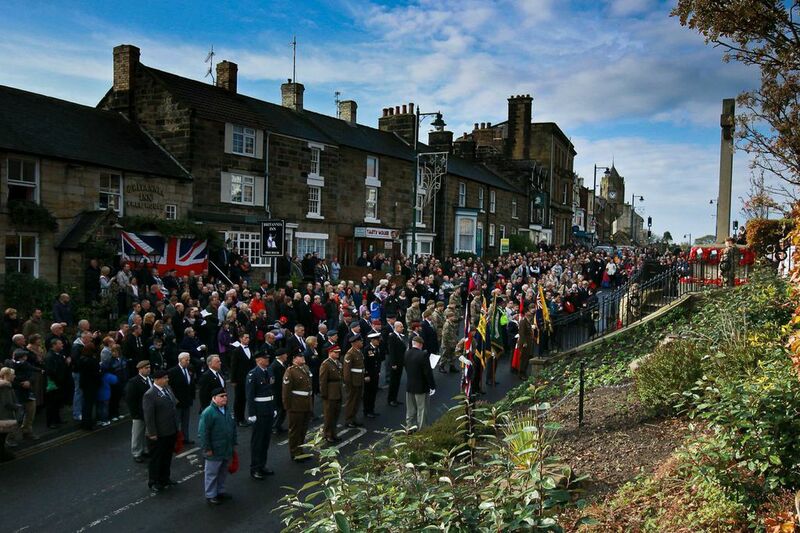 Large crowds gathered all around the war memorial at 11:00 am as a two minutes silence was kept by all. Wreaths were laid by the Mayor, by representatives of the Armed Forces and by a number of local Schools and Community Groups. 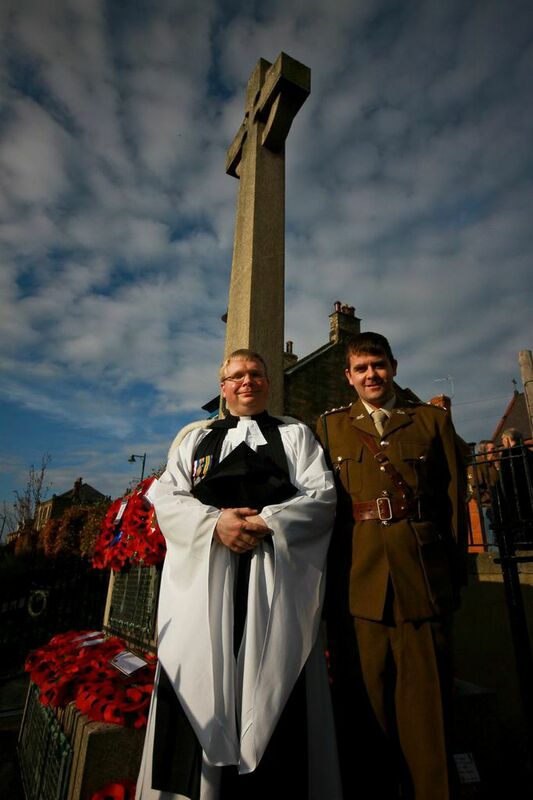 The Act of Remembrance ended with the singing of the National Anthem and with the Rector pronouncing the blessing. Also attending the Loftus Parade was Andrew Renton of Boosbeck, who had run over 100 miles during the previous four days, in-order to raise funds for the Poppy Appeal. 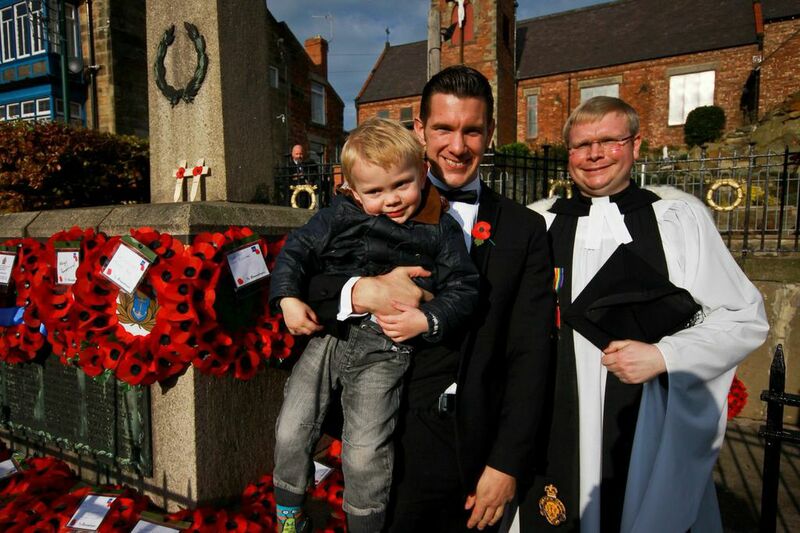 Andrew raised over £600 for this year’s Poppy Appeal and marked his achievement by laying a wreath at Loftus War Memorial; he is pictured above with The Rector.